British professional boxer Anthony Joshua will defend his WBA, WBO and IBF heavyweight titles against Russia’s Alexander Povetkin at Wembley on 22 September. The bout was announced by Joshua’s manager Eddie Hearn on Monday via his twitter handle. Joshua’s much anticipated fight with American boxer Deontay Wilder came to a deadlock after months of negotiations by both camps. The 28-year-old Briton (21-0, 20 KOs) will take on Povetkin (34-1, 24 KOs) who has suffered only one defeat since his professional debut in 2005, losing by unanimous decision to Wladimir Klitschko in Moscow in 2013. 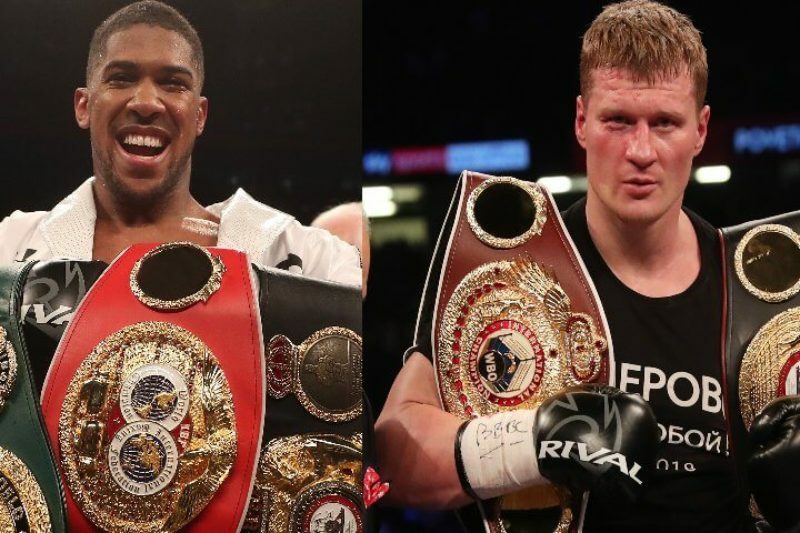 38-year-old Povetkin who is the mandatory challenger to Joshua’s WBA title, has won his last eight fights in succession and most recently knocked out his first British opponent, David Price, in the fifth round of their meeting at the Principality Stadium in Cardiff on March 31. Joshua hasn’t fought at Wembley since he beat Wladimir Klitschko to take the WBA and IBO heavyweight straps in April 2017, since going on to beat Joseph Parker and Carlos Takam in successive wins in Wales.